Many in the scientific world are celebrating the fact that two women received this year’s Nobel prizes in physics and chemistry. Donna Strickland and Frances Arnold are only the 20th and 21st female scientists to be recognized by the Nobel Committee. Yet in over 100 years, we have never seen a black scientist become a Nobel laureate. Every year, the annual October Nobel Prize announcements coincide with Black History Month, which is a painful reminder that of the more than 900 Nobel laureates, only 14 (1.5%) have been black and none in science. Almost all black laureates have been awarded for work in the fields of peace (ten) and literature (three). During that time the closest a black scientist has come to winning has been social scientist Arthur Lewis for his work economics in 1973. By contrast there have been over 70 Asian laureates, the majority in the sciences, and since 2000 that number has significantly increased. This is partly due to the increasing influence and power of Japanese, Chinese, Korean universities and the success of the Asian American academy. To win a Nobel Prize for science, it helps if you are in a prestigious institution and in a position to lead big expensive science. The main reason why no black scientist has won a Nobel prize is simply a matter of numbers. Not enough bright young black people are choosing science. Alongside the more limited opportunities for black Africans, black people in Western countries are less likely to study science, less likely to achieve a top degree and less likely to progress to scientific careers. To even be considered as a possible Nobel laureate you must become a principal investigator or a professor in a leading institution. Yet, once a black science graduate makes it to the first rung on the academic ladder they face the same challenges as any other black academic around access to promotion and access to resources. For example, we know black scientists in the US are less likely to receive funding for health research. To become a professor you need support from your institution and to find at least four existing professors at other institutions who will support your application and certify that you are a leader in your field with an international reputation. This requires building large internal and external networks. For many reasons, not enough black academics work in institutions where such reputations and networks are made, significantly reducing the possibility of being promoted to professors. This is also something of a circular problem. It seems highly likely the perception that black people don’t reach the highest level in science has in some ways affected the success of black people in science. 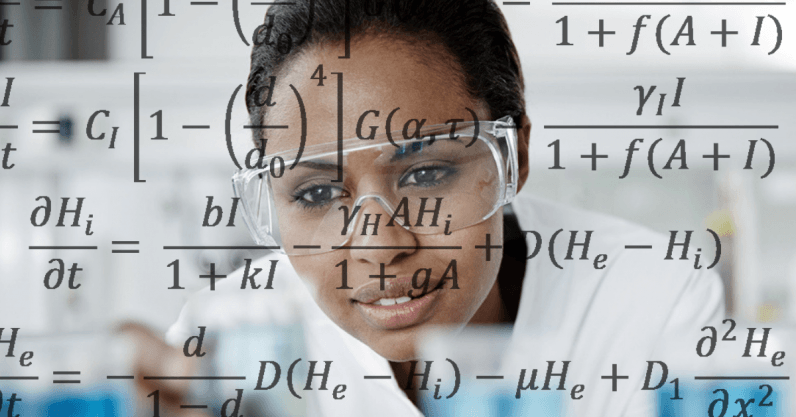 Research suggests female role models can encourage women to pursue careers in science, and the same seems likely to be true for black people. Having a black Nobel laureate would inspire more black students to become black professors, which in turn would inspire more young black people to study science. During my own undergraduate studies, many courses began with a professor describing the inspirational work of a Nobel laureate, who was usually a white man. These individuals were elevated to superhuman status, people we should aspire to be like because their work had transcended the field. This clearly appealed to me as it reinforced my desire to become a scientist. But at the same time, as a black student, achieving that level of success or even anything along that path appeared far more distant as there was never a black laureate on the list. Although I was not deterred by this fact, I have no doubt it had an impact, not just on me but on my fellow white students and more importantly my tutors, and later my university employers and those awarding research grants. A black Nobel laureate would have made it easier for them to see me as a potential high achiever and treat me accordingly. More black scientists wouldn’t just be a victory for equality but would benefit wider society. For example, conditions such as diabetes, heart disease, cancer and many others have a higher incidence in people of black or African heritage. Yet research is often biased towards studying white people. More black scientists, especially in leading positions, could bring greater focus, understanding and different insights to investigating these conditions. They could also help lead the decolonizing of science, again with wider advantages to society. So how can we increase the chances of a black scientist becoming a Nobel laureate? We cannot wait for Africa to have the same political and economic power as Asia. Looking at the 49 women Nobel Prize winners, of which only 21 were scientists and only three in physics, we see a similar challenge. But with the advent of many successful campaigns backed by political action to increase the number of women in science, particularly in the leading institutions and in leading positions, the number of women laureates is likely to increase significantly. If we want more black scientists and eventually Nobel laureates, then similar direct strategic action is urgently needed. This article is republished from The Conversation by Winston Morgan, Reader in Toxicology and Clinical Biochemistry, University of East London under a Creative Commons license. Read the original article.